Why do people join Tupperware??? Just $39 as an intial payment, earn the rest FREE! The following is a library of ideas and flyers that you can use to assist you in approaching recruiting as a normal part of your Party and Tupperware business. Choose one or two ideas and work with them in a positive way to "Interest" customers in the Tupperware opportunity. Build your Team for bigger and better Royalties! No Secrets "10 Ticket Game"
Watch this and recruit like crazy! and playing the 10 ticket game at parties. Use one or two of the flyers below to help you recruit! The Teams "Best Recruiting Tips"
Use this at your parties, ask everyone to fill it out and have a draw. 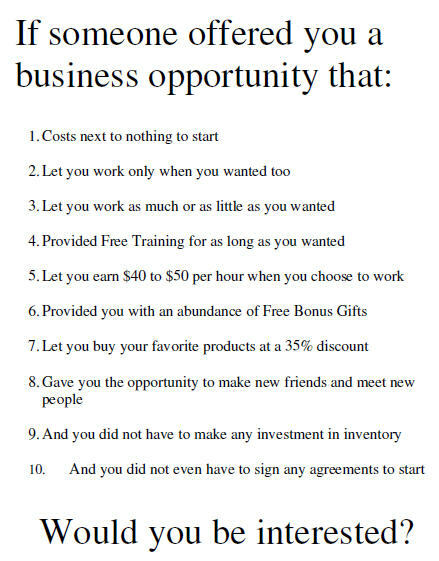 Tupperware is a GREAT Business Opportunity. Why not give it a try today? Then call or e-mail me personally to help you get started. If Recruiting is the Answer! 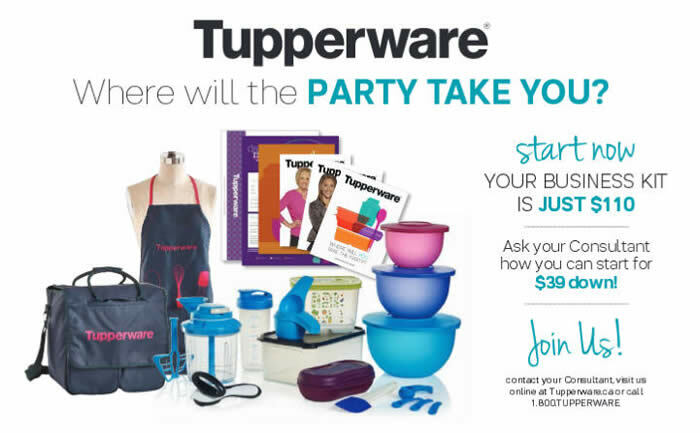 - How do I collect a "Royalty Bonus" every month from Tupperware? - How do I build "My Own Team" and become a Manager? - How do I earn the "Beautiful Gifts" that are offered? - How do I "Become a Leader" in this great business? - How do I "Quit My Full Time Job" and work from home? - How do I "Travel to great places" free from Tupperware? - How do I "Earn a Vehicle" to drive free from Tupperware? - How can I "Be everything I want to Be" personally? - How can I "Give Back to Others" the same way others have helped me? 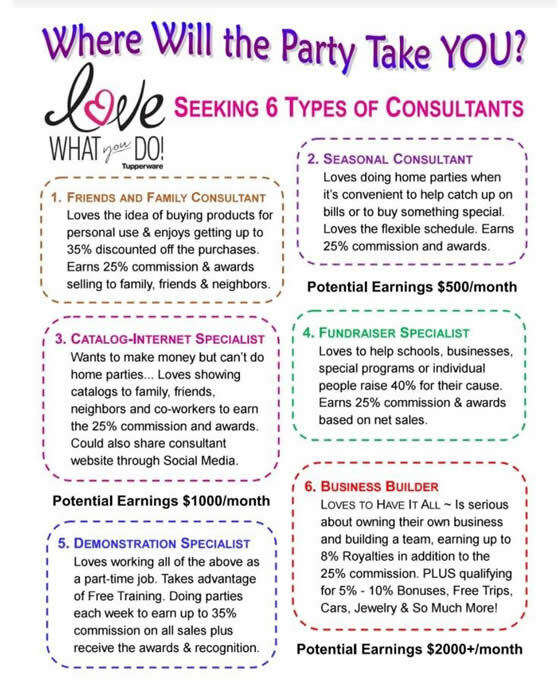 - How can I "Earn an Executive Level Income" doing what I love? - How can I "Make Lifetime Friends" that I share common interests with? Recruiting really is the answer to all you want!